The website would have been built offline so that it is not publicly accessible until finished. Think of it as a ship being built in a shipyard, before being launched into the ocean. You will of course been privy to all progress since I would have been sending you videos and private test versions of the website. At this stage, the site will not show up in search engines – not until the URL is submitted to each search engine. 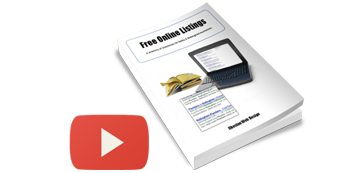 Once the URL has been submitted to each engine, the website will be eligible to show up in search results. The security certificate (known as SSL or TLS) will be installed once the website is live. In the planning section, I talked about using Dreamhost as your web host, because they include https for free because they’re partnered with Let’s Encrypt. 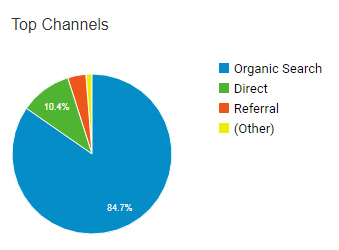 I take it you want to know how users are finding and interacting with your website? Google provides a suite of tools for measuring website traffic, which I can install for you. Google Search Console is free and will monitor the health of your site. If there are problems, it’ll let you know. 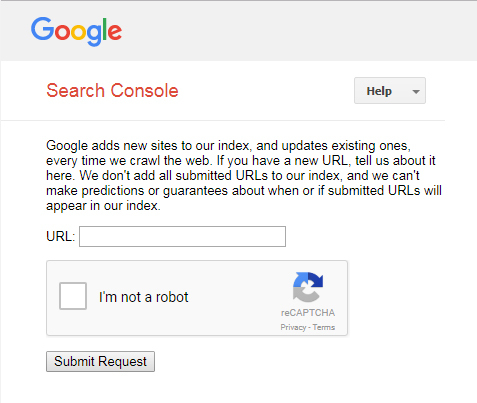 Please note, when you add your site to Google Search Console, you are not adding it to the search engine index. This is a monitoring tool, rather like one of those electronic devices that humans wear to count steps and measure blood pressure. Some pages will be deliberately hidden from search engines, as we wouldn’t want every page of the site to show up in search engine results. If you’ve got landing pages for a Google Adwords ads, these might be deindexed from search results and only ever be accessed by a visitor when they click a specific ad. There might also be password-protected pages that only staff or VIP customers would ever need to access, which would need to be hidden from search engines. There’s any number of reasons to restrict pages in this way and it’s something we’ll discuss. One of the last things we’ll do is submit the website to Google (and other search engines, actually, but Google first) for indexing. Indexing means that Google is aware of the site and is able to return pages from your site as results to a query someone has entered. Please note that indexing is not the same as ranking. Your site can still be indexed but may not be ranking well (usually because of heavy existing competition).